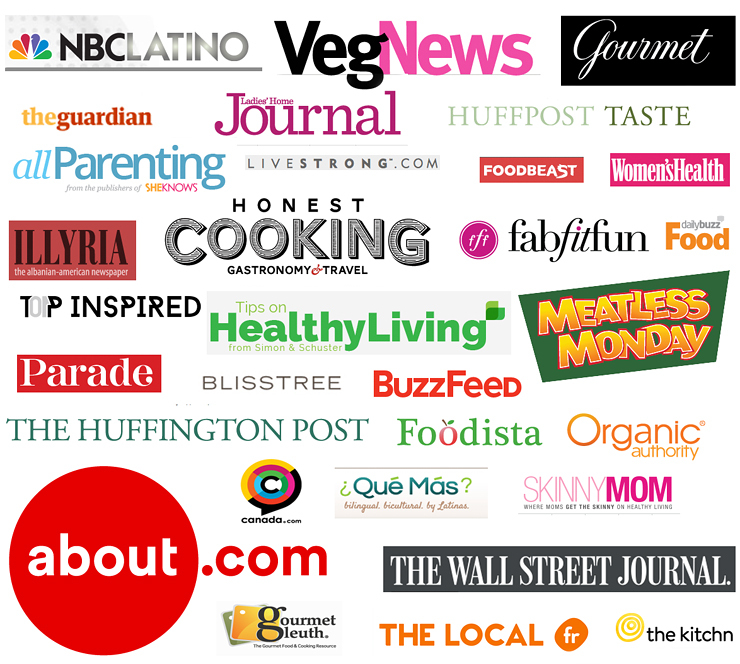 Hello amigos and welcome to my new website, Mexican Made Meatless! I am so happy to have you here and very much looking forward to sharing this new journey with you. Mexican Made Meatless is dedicated to transforming classic Mexican dishes into modern vegan, vegetarian, and pescetarian delights. You’ll find recipes that are healthy, delectable and as close to the traditional meat-based versions as possible, plus completely new combinations and flavours you’d maybe never considered before. As you can see the same core theme of Spicie Foodie is what you’ll also find here, it’s just now the recipes are more focused on one cuisine (though occasionally I may share an international recipe that fits). You’ll notice that many of the vegan, vegetarian, fish and seafood recipes that were once published on Spicie Foodie are now here. This is because those recipes are still among our favourites and ones we eat often. ● You are probably wondering why and when I made the switch from a carnivorous diet to a pescetarian one, click the graphic below to read all about it — if you have any questions feel free to leave them below. ● Do you know the differences between vegan, vegetarian, and pescetarian diets? I’ve explained it in the article that’s linked in the top menu bar and called “VEGAN, VEGETARIAN… & PESCETARIAN?” Please click either on the graphic below or on the menu bar above to read the article. ● You’ll always be able to find the complete list of recipes and video archive for Mexican Made Meatless by clicking on the top menu bar. If you ever want to find one of my old Spicie meat-based recipes you can do so by clicking on the link in the top menu bar called “~SPICIE FOODIE ARCHIVES ~” (see graphic below). ● Were you a newsletter subscriber to Spicie Foodie? Then you don’t need to do anything, I’ll automatically send you a newsletter every time I publish a new recipe here on Mexican Made Meatless. If you’re brand new to this website I highly recommend that you sign up for the newsletter — that way you’ll never miss a new recipe, photography tutorial, or article; it’s completely free and I respect your privacy so your information will never be sold. To sign up find the graphics, like the ones pictured below, on the right side of the blog. Thank you for stopping by and checking out the new blog! I’m so happy that you are here and I can’t wait to share amazing recipes with you — first one is coming in a couple of days! If you have any questions feel free to leave them below or fill out the contact form on this page. 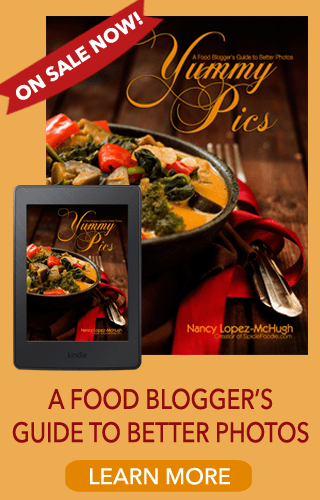 Congrats, Nancy on your new blog! I look the light new look and feel. And focusing on non-meat dishes is a great idea—I adore Mexican food but many recipes I’ve been able to find are pretty meat-centric. Having this alternative source is a real godsend. Best wishes and I’ll be visiting often! Thank you John, and I too am looking forward to sharing tons of new dishes. Congrats on your new site and continued happiness with your new lifestyle. I have a feeling I can learn a whole lot here! Thank you Monica, I really appreciate it! Congratulations on the new website, Nancy! It’s gorgeous! Wishing you mucho éxito en esta nueva aventura! Saludos desde Jalisco! I love the light and festive look, congratulations! Congratulations Nancy! Loving your new lifestyle and menu ideas. Can’t wait to follow along! Thank you so much! I too am loving the new journey your blogging has taken — the HWC website is gorgeous. Congratulations on your new site. Just arrived from Spicie Foodie and fell in love immediately with the simple and easy recipes. I too have struggled with being a full time vegan/vegetarian. Our Latin ties to food and especially meat make it very difficult. I went looking for an easy Indian curry soup and found Spicie Foodie, and that led me here. I’m very much looking forward to introducing new, healthier recipes to my daily menu. Mexican Made Meatless will definitely help get me started in the right direction. Thanks for this great site. Congratulations on your new site. I went looking for an easy Indian curry soup and was discovered Spicie Foodie. I immediately fell in love with the easy tasty dishes you have there, and look forward to introducing these into my daily menu. I ventured here in hopes to follow through with the never-ending struggle of breaking my Latin ties to meat. :/ I’m looking forward to learning new healthier recipes that will help me do just that, congratulations again Nancy. I’m glad you found my new website and thrilled to have a fellow Latina share in this meat-free journey. Thank you and I look forward to sharing. Buen provecho and happy cooking!